This Place of Worship was founded in 1870, though it is now closed, but we don't yet know when. Private church, built about 1870, for the trustees of The Pastures Hospital, now a Listed Building - see the British Listed Buildings website for details. 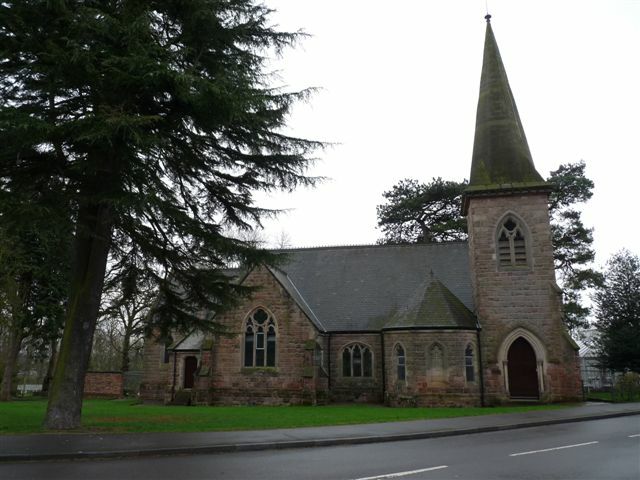 Church at Pastures Hospital, Burnaston shown on a Google Map. Places of Worship in Burnaston shown on a Google Map. I have found many websites of use whilst compiling the information for this database. Here are some which deserve mention as being of special interest for Burnaston, and perhaps to Local History and Places of Worship as a whole. Information last updated on 13 Mar 2011 at 18:36. This Report was created 24 Mar 2019 - 20:26:04 GMT from information held in the Derbyshire section of the Places of Worship Database. This was last updated on 6 Feb 2019 at 15:49.